Departing Corfu, our hydrofoil arrives into Sarandë after a quick, smooth crossing of the Ionian. 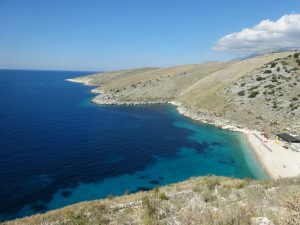 It is a beautiful, sunny day and our route will be via SH8, a relatively new coastal road that snakes its way north along the spectacular and relatively undeveloped and unspoiled east coast of the Albanian Riviera. The hills smell of heather and nature and alive with the sound of music: cow and sheep bells, birds and butterflies. 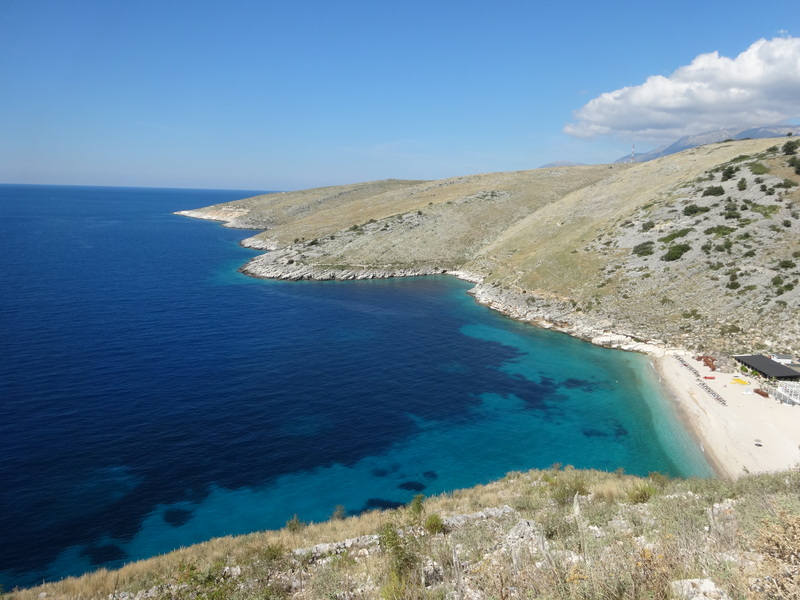 And west is the blue, blue expanse of the Adriatic. Olive trees and rustic shepherd shelters dot the hillsides and cows outnumber cars on the road. In 1803 Ali Pasha offered the castle and port to the Royal Navy. The fort is on a low hill connected with the continent by a narrow isthmus. Records note 4-5 cannon, implying Ali Pasha did not see the fort as important. Near it are some warehouses, a custom-house, and a Greek church, to where, I am told, he ordered his architects then bombed to keep his Christian wife safe from harm. We continue our winding drive north along the coast, reaching Llogora Pass with the 6700’ peak of Mount Çika to my right. 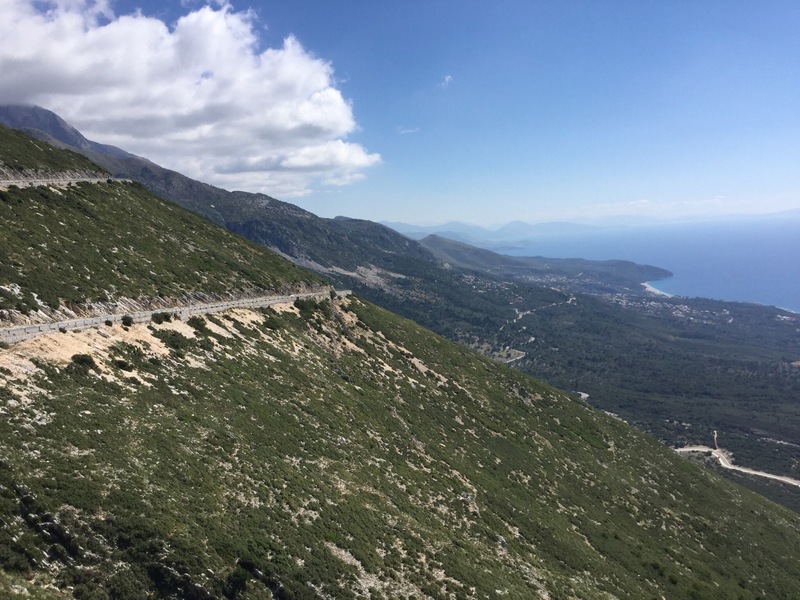 The switchback road is a nightmare as we climb to the top of the pass for spectacular views of the Ionian Islands as far as the Italian coast. 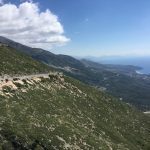 After lunch at one of the many restaurants atop the pass, we drive through the Llogora National Park and up the rugged coastline toward Vlorë, the second largest port city in Albania and where Albanian Independence was proclaimed on 28 November 1912. 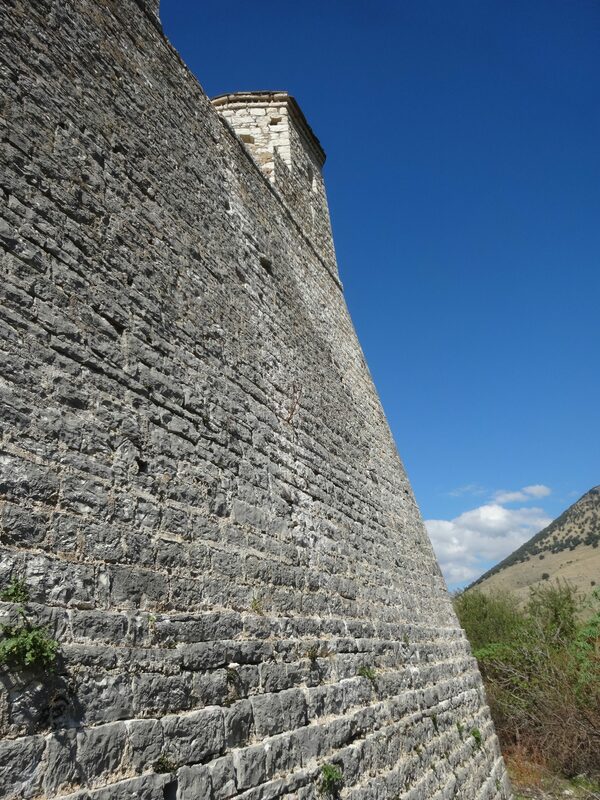 The city was for a short time the capital of Albania. We continue our drive through the lush green olive groves of Vjosë-Nartë and around the protected Narta Lagoon. Sandy beaches, small lagoons, wetlands, rocky drops to the coast, and secluded beaches line the route. I wonder for how long this pristine and peaceful coastline will remain so. Monument of Agonothetes at Apollonia. Our next destination is the ancient city of Apollonia, an ancient Greek city in Illyria, located on the right bank of the Aous River (modern-day Vjosë). Apollonia was founded in 588 BCE by Greek colonists from Corfu and Corinth, on a site initially occupied by Illyrian tribes and was one of the most important of the several towns known as Apollonia as well as an important port along the route between Rome and Byzantium. The city flourished in the Roman period and was home to a renowned school of philosophy, but began to decline in the 3rd century AD when an earthquake changed the path of the Aoos, causing the harbor to silt up and the inland area to become a malaria-ridden swamp. 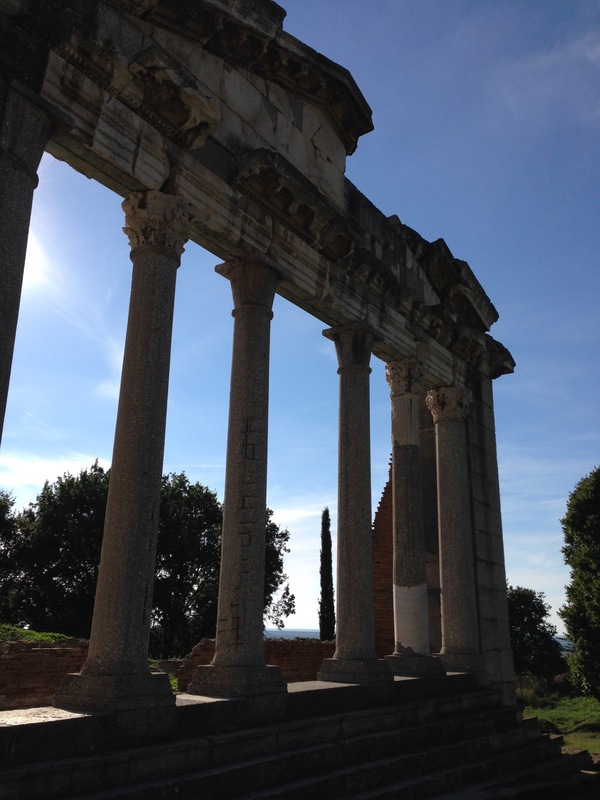 It was abandoned by the end of Late Antiquity. The city seems to have sunk with the rise of nearby Vlorë. 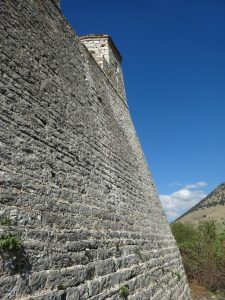 It was “rediscovered” in the 18th century, though it was not until 1916–1918 that the site was investigated by Austrian archaeologists, then a French team from 1924–1938. An Albanian team undertook further work from 1948 onwards. 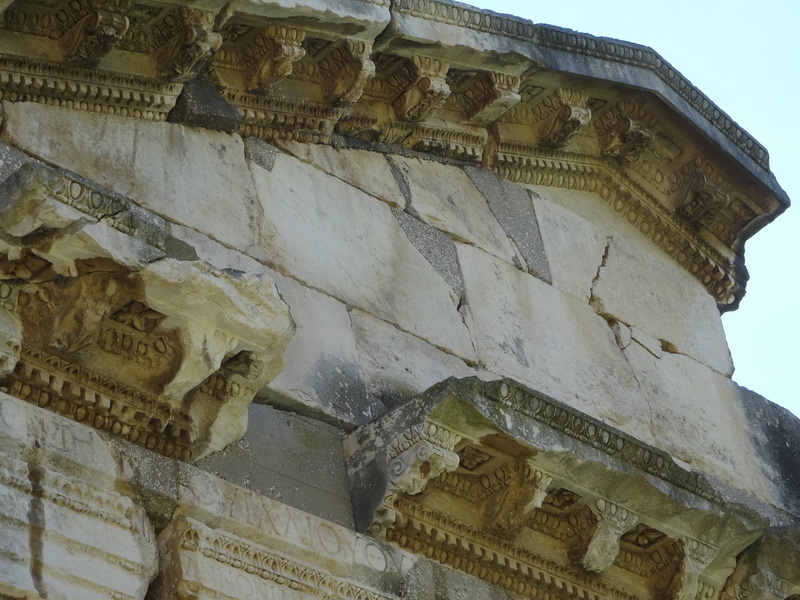 Some of this team’s discoveries are in Apollonia’s fine new museum, others were removed to Tirana. Priceless artifacts are continually unearthed and less than 10% of the ruins are currently excavated. The site has been frequently plundered for relics to be sold to collectors. The small Church of Saint Mary is currently under renovation. Our guide is pleased with the solitude and says a lack of money explains why so little is excavated, or will be in the future. In fact, the rule is to excavate, document, then refill the site as a way to preserve and protect. The Monument sports far more brides and grooms than ruins. It is THE place for wedding videos and up to a dozen or more couples can be seen strolling and posing within the grounds on any weekend. 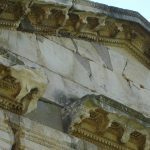 Apollonia provides beautiful wedding photos in front of the facade of columns and lintels or among the seats of the Odeon.